Second child born to Frieda Holzmuller (1902 Germany) and James Luther Alford (1898 Texas) on Feb. 25, 1923, Rhawnhurst, PA. She was premature and was only 2 pounds. She was born and cared for at home—my mother told how she put hot water bottles around her. It took her a full year to get to the normal weight of a newborn. She graduated from Olney High School, Philadelphia, PA, 1940, and was employed at the Philadelphia Navy Yard during the war. She was a happy-go-lucky kind of gal and enjoyed life to the fullest. Thelma was my older sister by 12 years. She and my mother were very close when Thelma was a young woman dating. Many a night they sat around the table talking and laughing. She looked for the rainbow in life and didn’t let the dark side of things stay with her. She was a helpful and strong companion and mother and the glue that kept the family together. May she rest in peace. 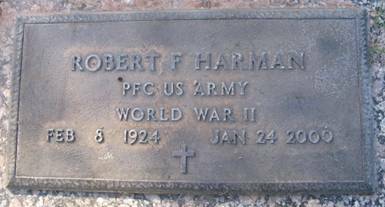 When she was in her late twenties she met and married Robert Harman, Sep. 30, 1950. They lived in Sellersville, PA and had 7 children; Robert 1951, Patricia 1953, Diana 1956, Mark 1958, Michael 1959, Roger 1961 and George 1963. She had 18 grandchildren. She was a housewife and mother throughout her married life. When Robert retired, they bought a motor home and traveled for several years. They found Mesa, AZ, and decided this was the place to stay their remaining years. They both enjoyed the warm (sometimes hot) weather. 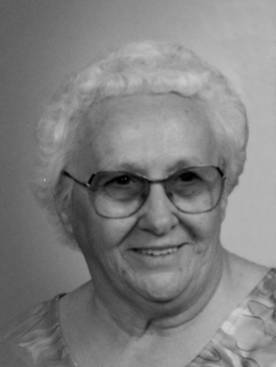 After Bob passed away Jan. 24, 2000, she remained in her home in Mesa, AZ. Buzz and I visited several times and found her happy and content with life. She was a member of AAFA since 1991 and always enjoyed reading about the Alfords. After returning home from a Mexican cruise in 2001, Thelma’s friends urged her to go to a doctor as she had lost weight. (Who loses weight on a cruise?) She was diagnosed with stomach cancer. She was in a hospice in Arizona when we visited in October  after the AAFA meeting in Salt Lake City. She was doing well and continued to say that nothing was wrong with her. She decided against any treatments. She was so good that the hospice house let her go home. At that time she went to live with her son Roger in Iola, TX. I spoke to her at Christmas, and like always she said, “I am fine and they are really good to me here.” This was be the last time I talked to her. She passed away Jan 28, 2003, in the home of her son. Her body was returned to Arizona and she rests in peace with her husband at the Valley of the Sun Mortuary Chapel, Chandler, Maricopa Co., AZ. 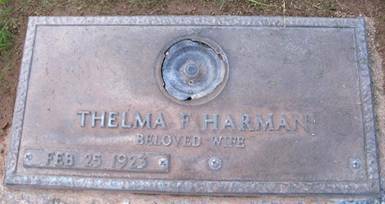 AAFA NOTES: SSDI records confirm the birth and death dates of Thelma F. Harman (SS# issued in PA), last residence Mesa, Maricopa Co., AZ. We included the obituary of her brother James Arthur Alford in Pennsylvania Obituaries. We published extensive lineage notes with Thelma’s In Remembrance in AAFA ACTION, Winter 2003. For more information on this family, see AAFA’s published genealogy, Known Descendants of John Alford, b. 1801 NC. Her lineage: Thelma Frieda 1923 PA1, James Luther 1898 TX2, George Washington 1855 AL3, John Madison 1826 GA4, John 1801 NC5.